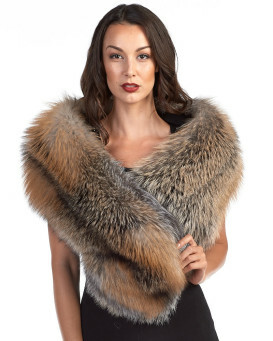 From Real Fur Stoles and Capes, to Shawls, you'll be able to find the most suited Genuine Fur accompaniment for your next soiree. Not only do these garments serve to set off your ensemble, they also make sure you don't catch cold when you are dressed in your best. Our selection is both beautifully made and very durable. 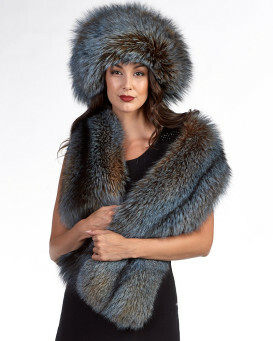 These fantastic pieces of shoulder wear, like our Fur Vests are constructed with longevity in mind. 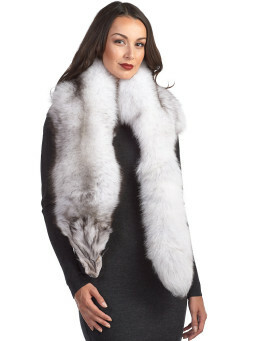 We pride ourselves in using only the finest materials like cashmere, and fine furs like rabbit, mink and fox. You can expect numerous special nights out in your choice as it will serve you for many years to come. 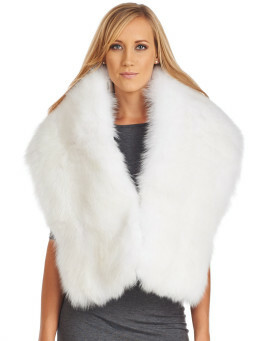 Pair with one of our Fur Accessories for a full fur look! 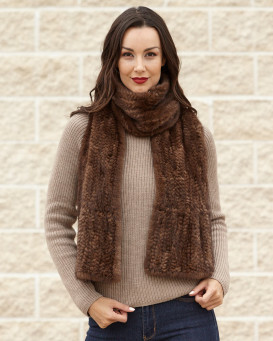 Sometimes you just need that little extra warmth or flair for when you are seeking the extra touch for your outfit. 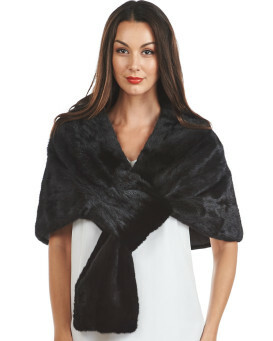 An accessory like a shawl, cape, fling, wrap, or stole is just perfect. You can get that little bit of extra decadence in while making sure you keep warm. These accessories are most often associated with evening dress. 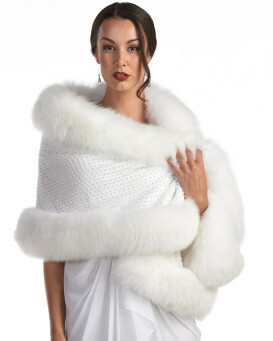 Certainly everyone has seen the iconic image of a woman wearing a stole to a gala event, after all. 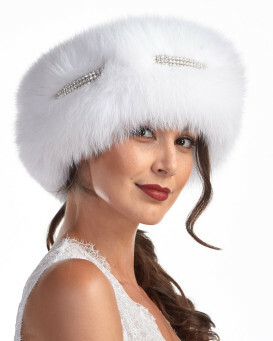 Not only do these garments serve to set off your ensemble, they also make sure you don't catch cold when you are stunning the crowd in your strapless gown. 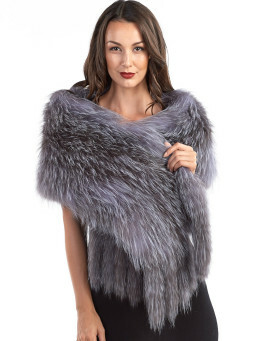 With one of these pieces wrapped around you can feel cozy warm while still giving your date for the evening a full dose of vixen. Our selection is both beautifully made and very durable. 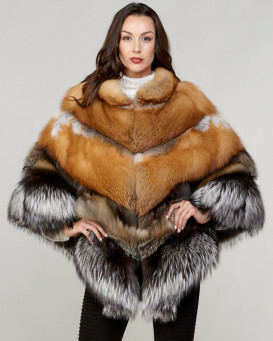 These fantastic pieces of shoulder wear are constructed with longevity in mind. 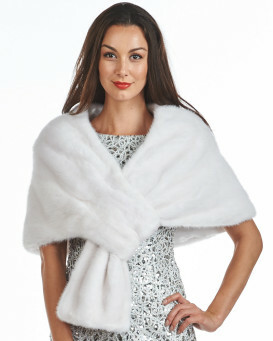 You can expect numerous special nights out in your choice of fur as it will serve you for many years to come. 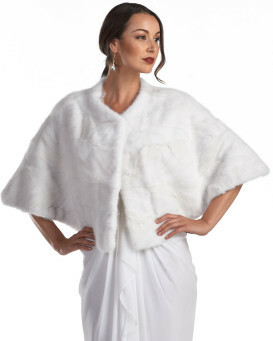 Covering a broad price range, these garments start out very affordable indeed. Of course for those looking for something truly spectacular we have some fabulous luxury options at the top of the line. 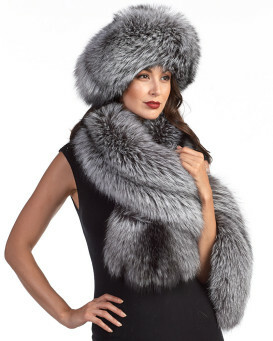 We offer you three distinct types of fur in this line: rabbit fur, mink fur, and fox fur. 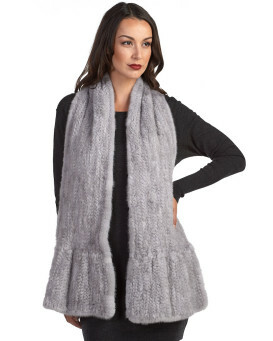 In addition to these fine furs, some of these garments incorporate luxurious cashmere. The colors included in this collection are very diverse. 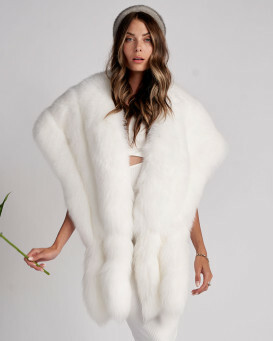 So no matter if you're looking for a classic black or white fur look, or something a bit more daring, you will be sure to find something suitable. 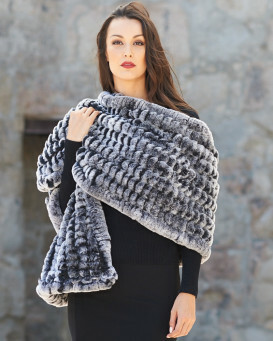 The gorgeous black and white or gray options are sure to turn heads, and for those looking to go earthy, there are browns and tans which will serve very well. 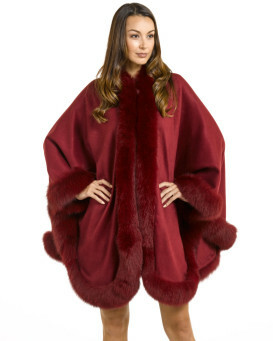 "I am so proud to wear my cashmere fur. After I ordered it I was worried about the quality well it exceeded my expectations! When you order something on line you tend to worry so I kept reading their return policy. I’m keeping this and wearing it as much as possible! I keep looking at their site looking to see what I want next!" "This exceeded my expectations. It is soft, light, drapes beautifully, and seems as if it won't wrinkle. 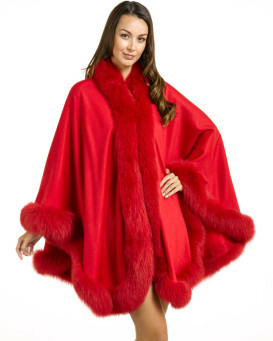 It will work as well over jeans as over a cocktail dress. The weight is perfect for Southern California winters. 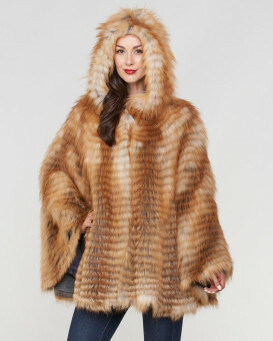 I have purchased from FurHatWorld several times in the past, and have never been disappointed." "I'm in love with it??. 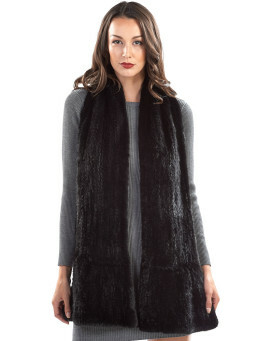 Very straight forward it will be in my favourite for shopping." Based on 91 customer reviews.